Following the posting on the Central Bureau's Transient Object Confirmation Page about a possible Supernova in the barred spiral galaxy Messier 61 (or NGC 4303 - TOCP Designation: PSN J12215757+0428185) we performed some follow-up of this object through a 0.10-m f/5.0 astrograph + CCD from MPC Code H06 (iTelescope, New Mexico). 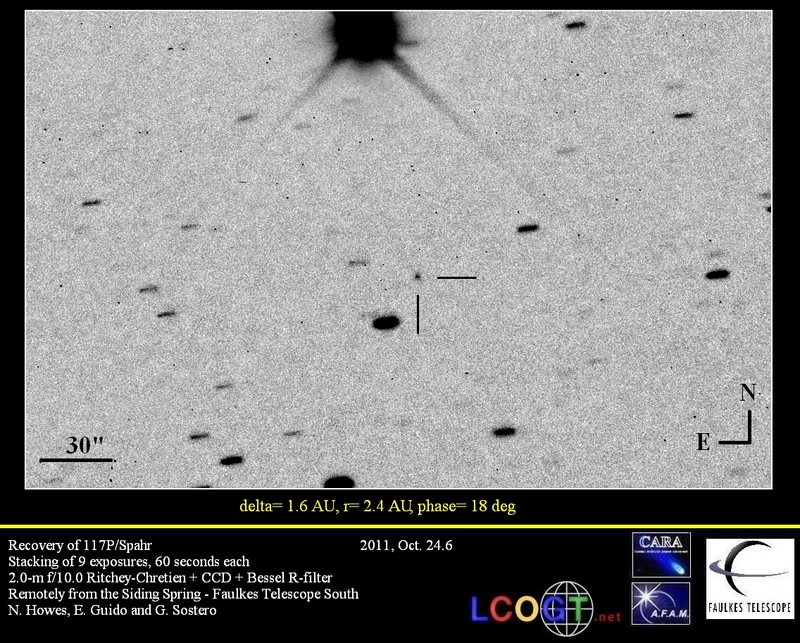 ATel #6648 issued on 31 Oct 2014 confirms PSN J12215757+0428185 as a Type Ia-pec Supernova. 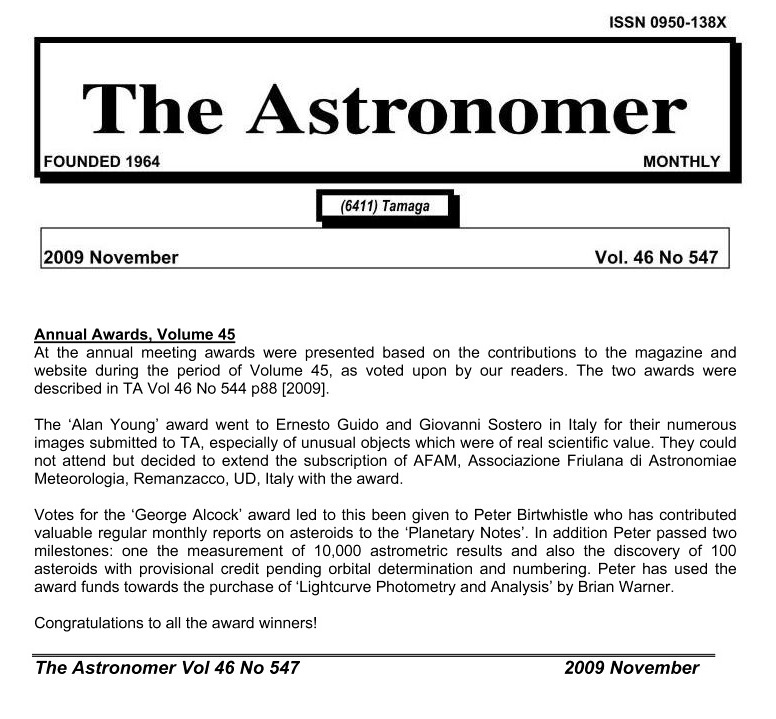 Spectroscopic classification has been obtained by "The Asiago Transient Classification Program" with the Asiago 1.82 m Copernico Telescope (+AFOSC; range 340-1000 nm; resolution 1.2 nm) and 1.22 m Galileo Telescope (+Boller&Chivens; range 360-790 nm; resolution 0.8 nm). According to the Asiago team: "Heliocentric radial velocity of the host galaxy M61 from Bingelli et al. 1985, AJ 90, 1681 via NED. Distance modulus (Virgo + GA + Shapley) m-M = 30.67[0.15] mag, suggesting an absolute mag M~-17.4. 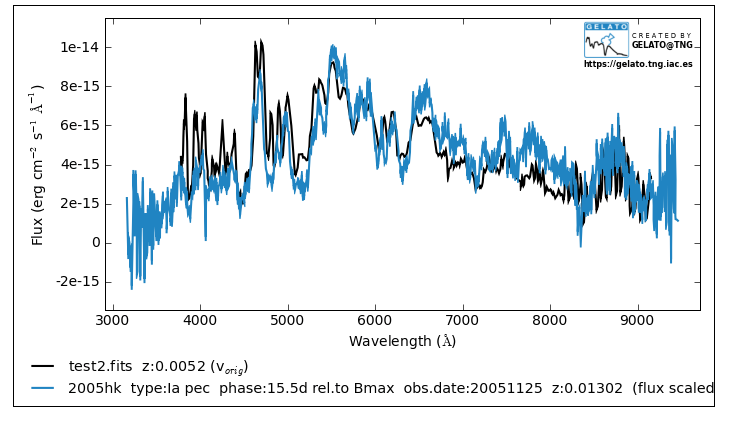 The spectrum shows a blue continuum with relatively weak and narrow Si II 635.5-nm absorption. 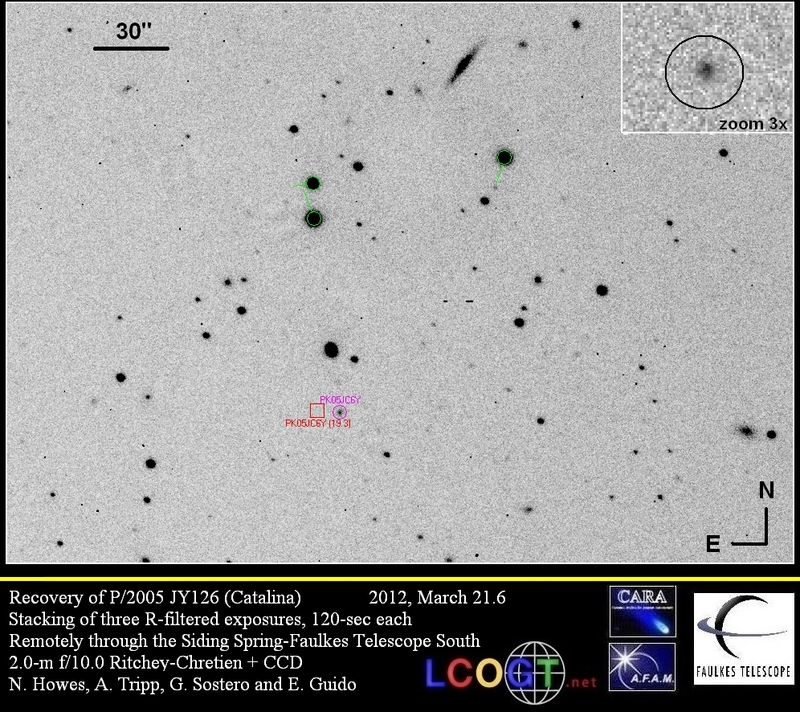 Fe III lines at 430 and 500 nm are visible, suggesting that the object might be a member of the Type-Iax class of supernovae". Click on the image below to see a bigger version of spectrum obtained at Asiago. This SN will have an official designation as soon as CBAT will issue its circular. Including this one, the total number of supernovae observed in M61 arrives to 7. Cbet 4011 with the official designation for the SN in M61 has been issued: SUPERNOVA 2014dt IN M61 = PSN J12215757+0428185. Below you can see our confirmation image updated with official designation in the caption. Click on it for a bigger version. The asteroid 2014 SC324 was discovered (at ~ magnitude +21.4) on 2014, September 30.2 by Mt. Lemmon Survey (MPC code G96) with a 1.5-m reflector + CCD. 2014 SC324 has an estimated size of 40 m - 90 m (based on the object's absolute magnitude H=24.1) and it will have a close approach with Earth at about 1.5 LD (Lunar Distances = ~384,000 kilometers) or 0.0038 AU (1 AU = ~150 million kilometers) at 1921 UT on 2014, October 24. This asteroid will reach the peak magnitude about +13.6 at close approach. We performed some follow-up measurements of this object on 2014, October 24.3 remotely from the H06 iTelescope network (New Mexico, Mayhill) through a 0.25-m f/3.4 astrograph + CCD and a 0.1-m f/5.0 astrograph + CCD. Below you can see our image taken with the asteroid at about magnitude +13.6 and moving at ~ 135 "/min (the asteroid is trailed in the image due to its fast speed). At the moment of its close approach on Oct 24 at 1921 UT, 2014 SC324 will move at ~ 221 "/min. Click on the image below to see a bigger version. North is up, East is to the left. 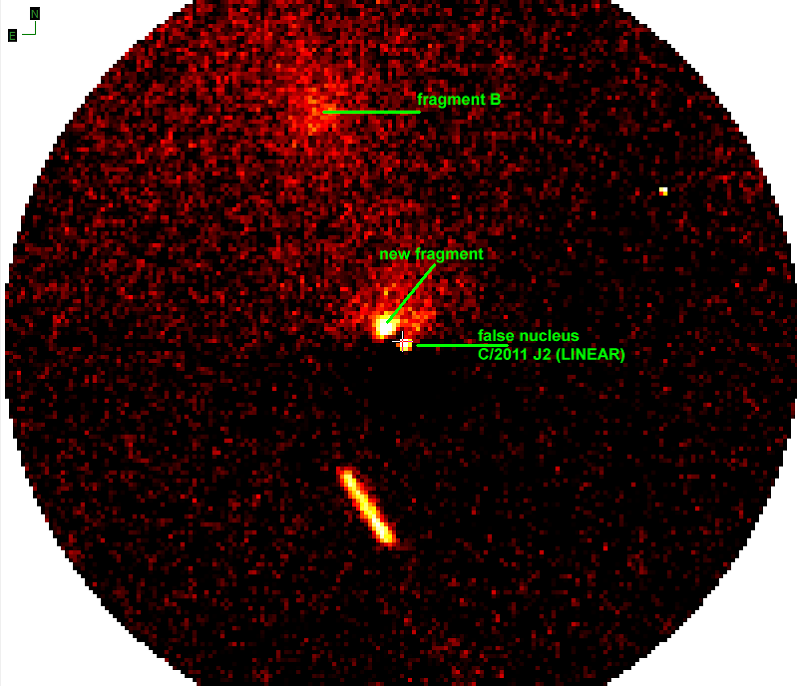 Comet C/2013 A1 (Siding Spring) was discovered by Australian observer R. H. McNaught with the 0.5-m Uppsala Schmidt telescope on 2013, Jan. 03 (discovery magnitude +18.6). After its discovery, due to the uncertainty within the orbital calculations, there was thought to be a chance of a collision with Mars, but this possibility was excluded when its orbit was determined more accurately. Instead C/2013 A1 passed the planet Mars very closely on 2014, 19 October at 18:29UT. According to JPL website (With an observation arc of 733 days) the comet passed at a Nominal Distance of about 139,500 kilometers or 0.00094 AU (1 AU = ~150 million kilometers) from the Red Planet, that's closer than any previous known comet flyby of Earth or Mars. 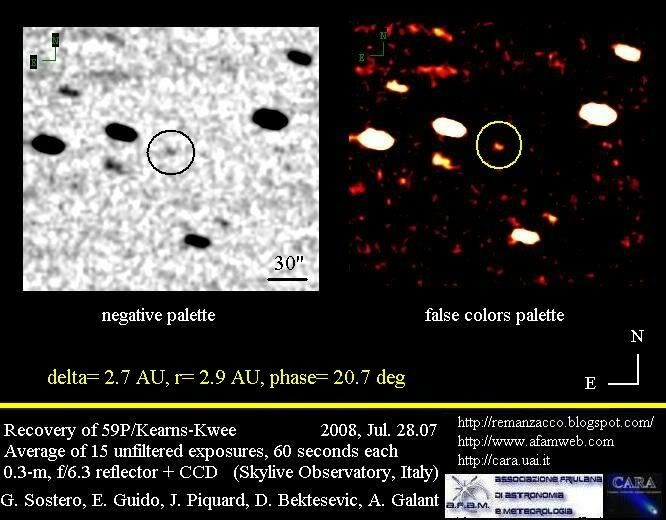 You can read more info about this comet and its discovery circumstances on our previous post dated back to 2013, March 04. 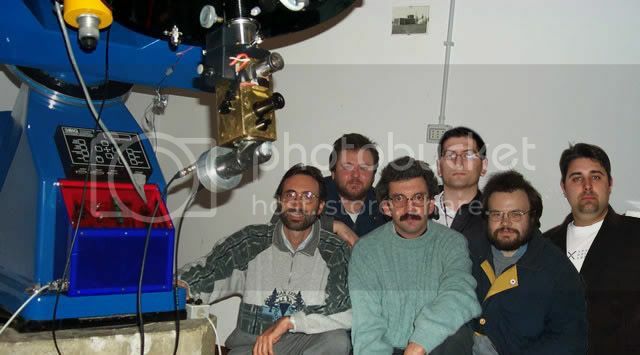 Astronomers, amateur astronomers and NASA's fleet of orbiters and rovers at Mars were all ready to observe this event. 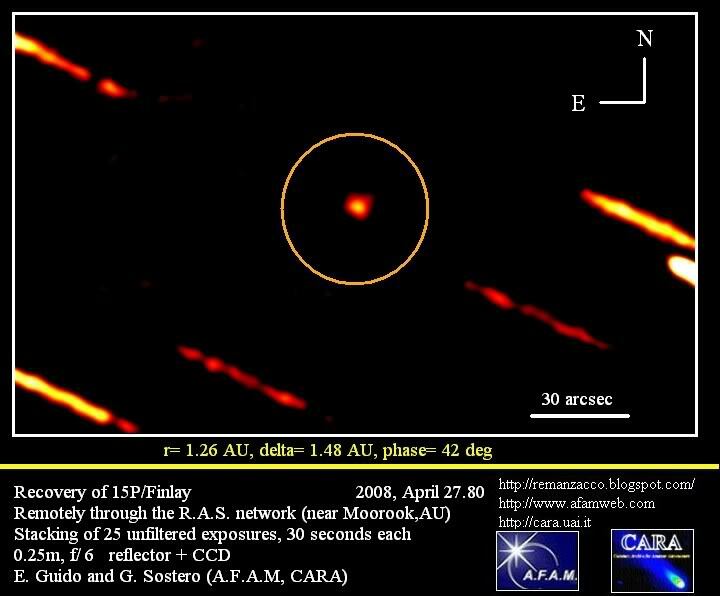 Below you can see a short selection of some of the most significant/preliminary results and images obtained from the observation of this flyby. Click on each image for a bigger version. Below a wide-field image obtained by N. Howes & R. Wodaski taken few hours before the close passage on October 19. "Researchers used the panoramic camera (Pancam) on NASA's Mars Exploration Rover Opportunity to capture this view of comet C/2013 A1 Siding Spring as it passed near Mars on Oct. 19, 2014. This image is from a 50-second exposure taken about two-and-a-half hours before the closest approach of the comet's nucleus to Mars. The sky was still relatively dark, before Martian dawn. At the time of closest approach, the morning sky was too bright for observation of the comet. A Martian dust storm to the west of Opportunity hampered visibility somewhat on Oct. 19, compared to the sky over Opportunity a week earlier." - For more info about Opportunity's image click here. 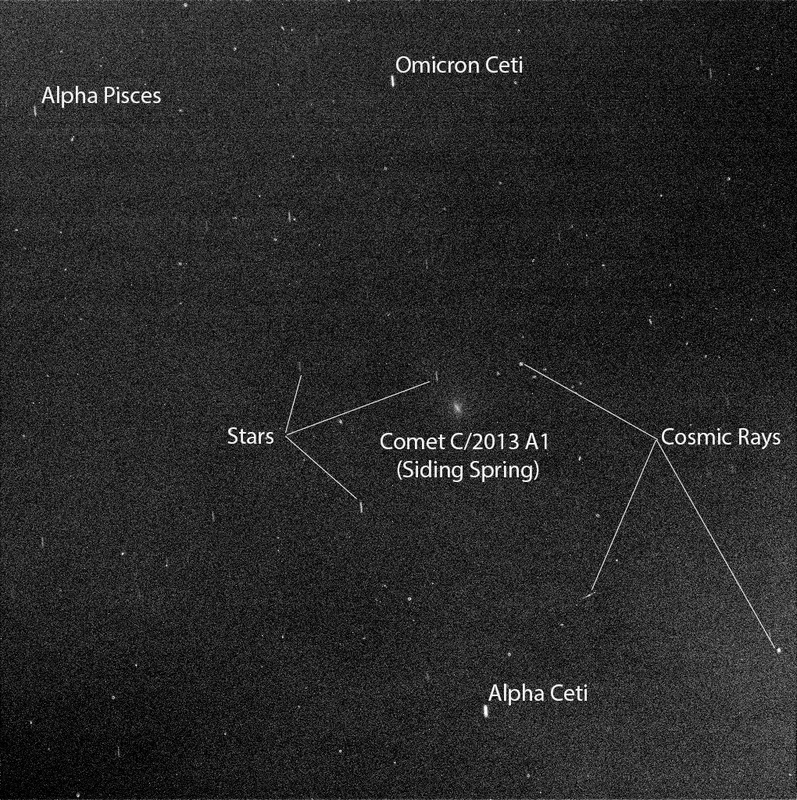 "These images were taken of comet C/2013 A1 Siding Spring by NASA's Mars Reconnaissance Orbiter on Oct. 19, 2014, during the comet's close flyby of Mars and the spacecraft. 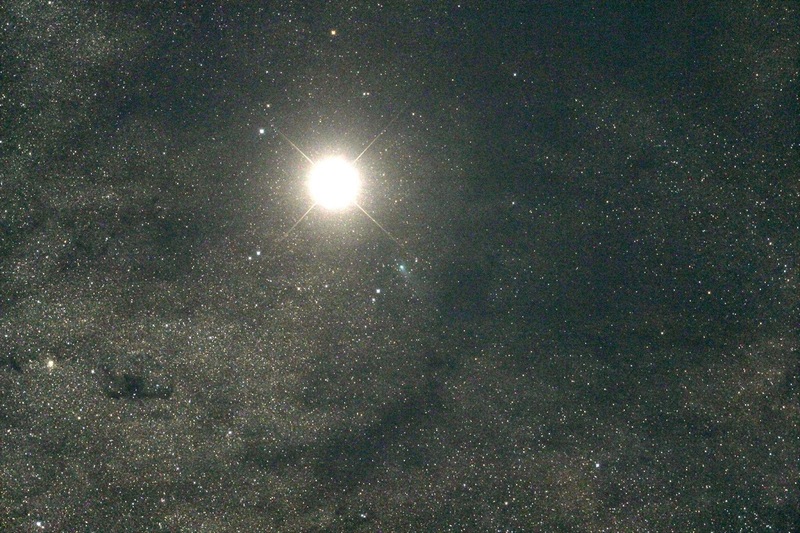 Comet Siding Spring is on its first trip this close to the sun from the Oort Cloud at the outer fringe of the solar system. 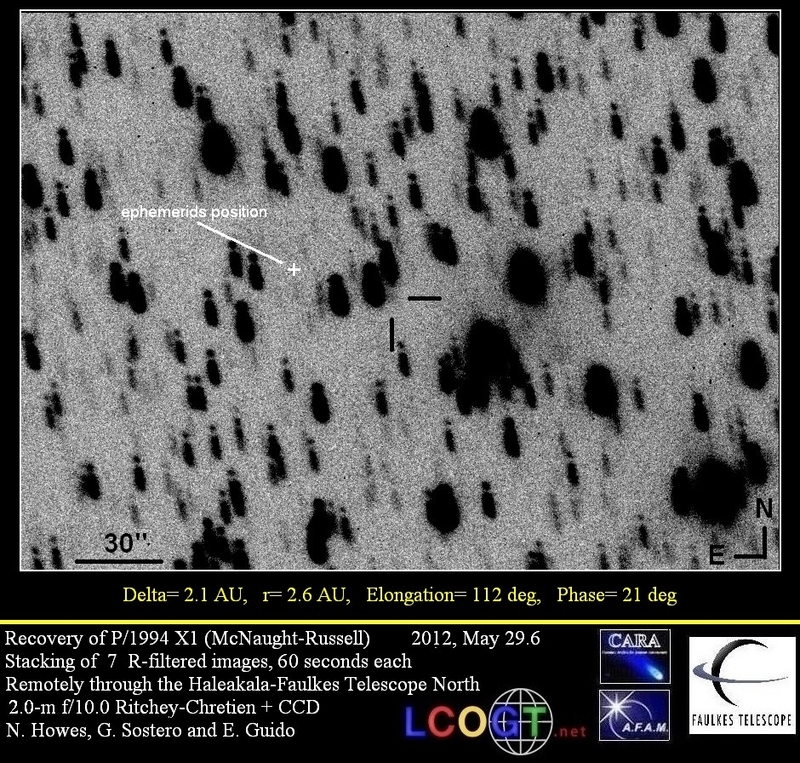 This is the first resolved imaging of the nucleus of a long-period comet. The High Resolution Imaging Science Experiment (HiRISE) camera on Mars Reconnaissance Orbiter acquired images of this comet from a minimum distance of about 86,000 miles (138,000 kilometers), yielding a scale of about 150 yards (138 meters) per pixel. Telescopic observers had modeled the size of the nucleus as about half a mile, or one kilometer, wide. However, the best HiRISE images show only two to three pixels across the brightest feature, probably the nucleus, suggesting a size less than half that estimate." - For more info about HiRISE's image click here. 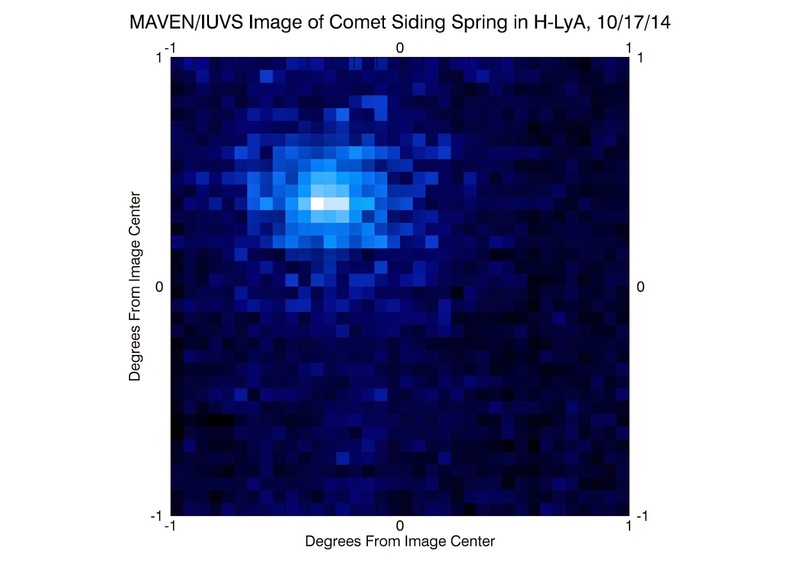 "NASA's Mars Atmosphere and Volatile Evolution (MAVEN) spacecraft obtained this ultraviolet image of hydrogen surrounding comet C/2013 A1 Siding Spring on Oct. 17, 2014, two days before the comet's closest approach to Mars. The Imaging Ultraviolet Spectrograph (IUVS) instrument imaged the comet at a distance of 5.3 million miles (8.5 million kilometers).The image shows sunlight that has been scattered by atomic hydrogen, shown as blue in this false-color representation. Comets are surrounded by a huge cloud of atomic hydrogen because water (H2O) vaporizes from the icy nucleus, and solar ultraviolet light breaks it apart into hydrogen and oxygen. 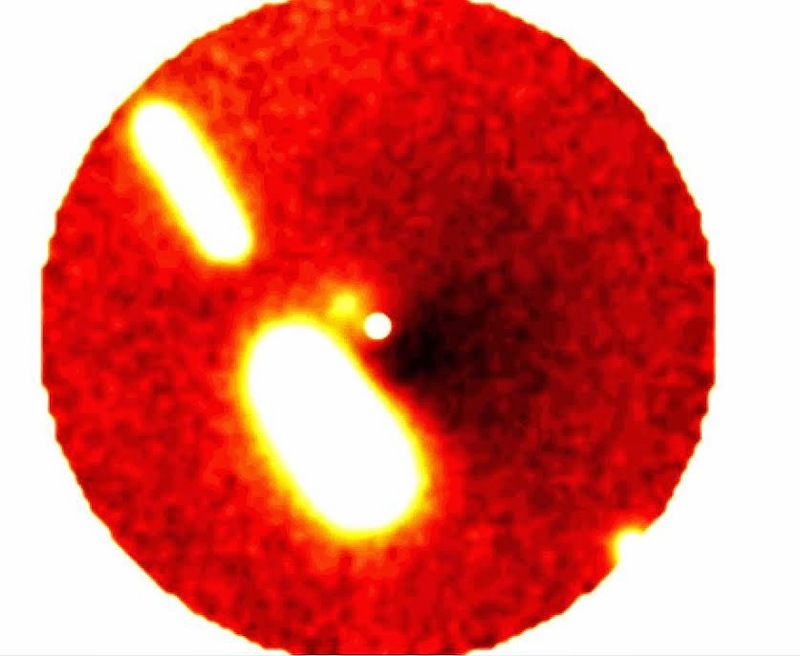 Hydrogen atoms scatter solar ultraviolet light, and it was this light that was imaged by the IUVS. Two observations were combined to create this image, after removing the foreground signal that results from sunlight being scattered from hydrogen surrounding Mars." - For more info about MAVEN's image click here. All other results and news about this event will be posted here as soon as they are available! Starting from 2014, Sept 26.9 we are constantly monitoring comet C/2011 J2 (LINEAR) and his fragment B through a 2.0-m f/10.0 Ritchey-Chretien + CCD (La Palma-Liverpool Telescope). The video below shows an animation we made using our recent obs of this comet. Time span is 9 days (from 1 Oct. to 9 Oct). The projected velocity of the fragment is of about 0.3 arcsec/day. 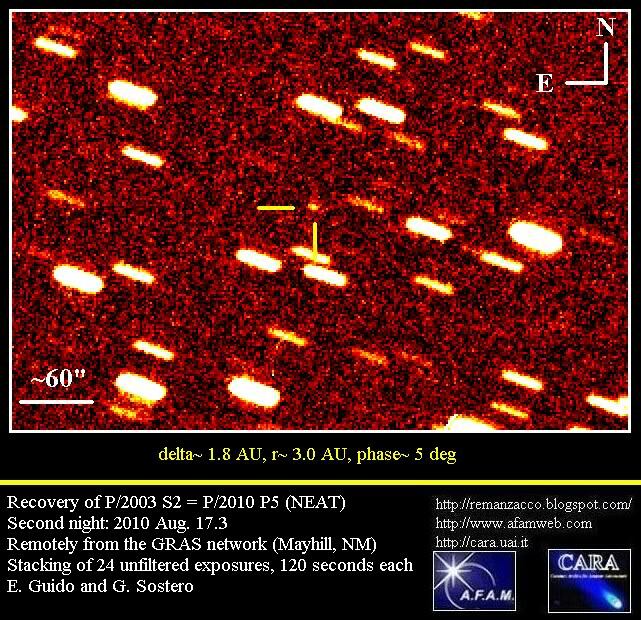 While performing follow-up of component B of comet C/2011 J2 on 2014, Oct 09.9 we detected a possible new diffuse fragment located in the very near proximity of main component A. Nothing was visible on our images taken on Oct. 07.9. Below you can see our Oct. 09.9 image of the new fragment (division by azimutal median filter applied). Click here or on the image below for a bigger version. 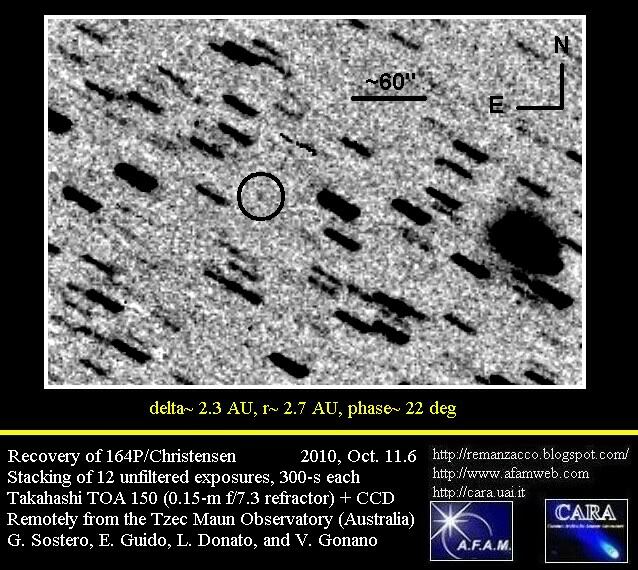 We imaged again C/2011 J2 on Oct. 11.9 with the same setup and we confirmed the presence of a new fragment located 1.5" in PA 59 from the main component A. Below you can see our Oct. 11.9 image of the new fragment (stack of 10x20sec raw images, no filters applied). Click here or on the image below for a bigger version. While the new fragment is already visible in the raw images, it is even more clearly highlighted by using an appropriate filter. So below you can see the same image as above with a division by azimutal median filter applied. Click here & here or on the images below for a bigger version. This filter creates an artificial coma, based on the photometry of the original image, and divide the original image itself in order to highlight the internal zones of different brightness that are very close to the inner core and that would normally be hidden from the diffuse glow of the comet. 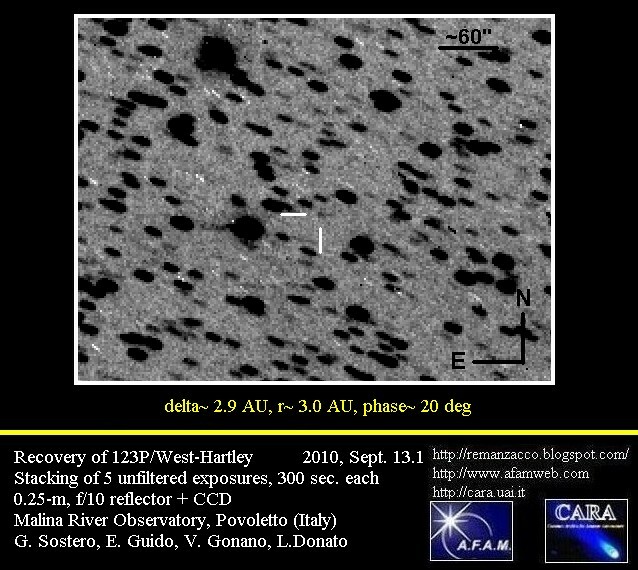 Precise astrometry/photometry is difficult to obtain due to the extreme proximity and diffuse appearance of new fragment to main component A. New fragment on 2014, Oct 11.9 is definitely brighter than fragment B.
CBET 3979, issued on 2014 September 19, announced that observations of comet C/2011 J2 (LINEAR) (by F. Manzini, V. Oldani, A. Dan and R. Behrend) on Aug. 27.95, 28.85, and 30.91 UT led to the detection of a second, fainter, nuclear condensation (from now on Component B) located 0".8 east and 7".5 north of the main, brighter nuclear condensation (component A). 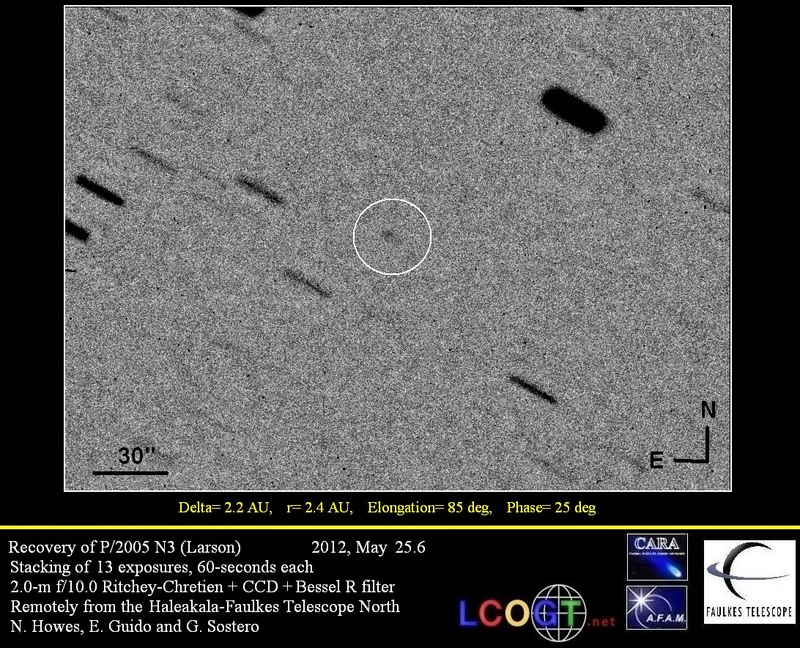 For more info about comet C/2011 J2 please see our May 2011 post on this blog by clicking here. 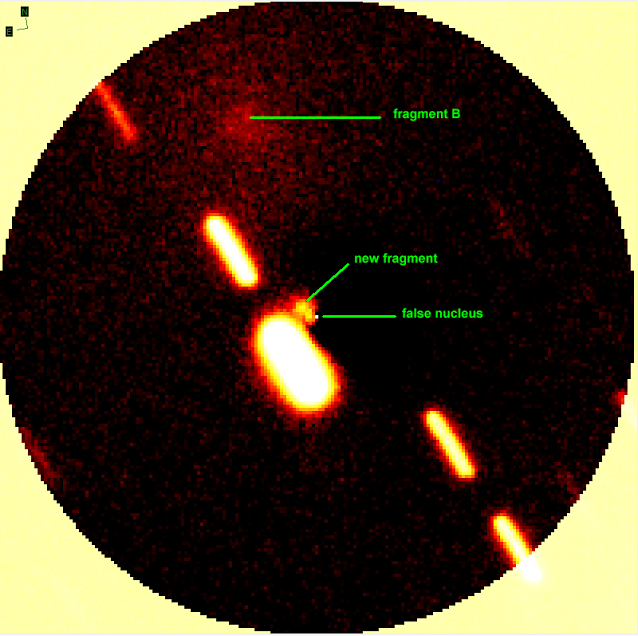 Whilst working on a long term morphology study on comet C/2012 K1 with N. Samarasinha and B. Mueller using the 2-meter Liverpool Telescope, we were alerted of the fragmentation event in comet C/2011 J2 and so diverted the telescope to this comet for a few days. 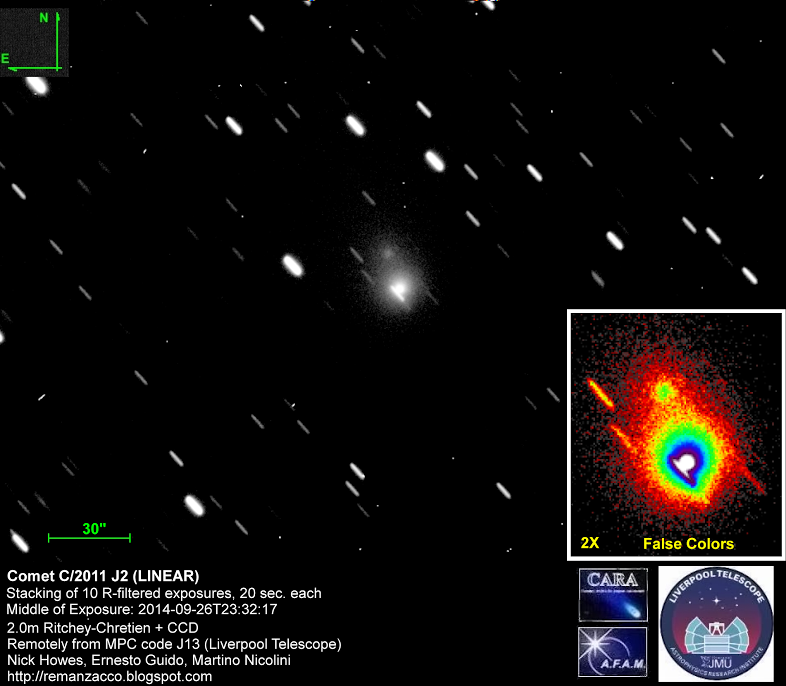 Below you can see our follow-up image that clearly shows comet C/2011 J2 (LINEAR) and its seconday B component. Click on it for a bigger version. 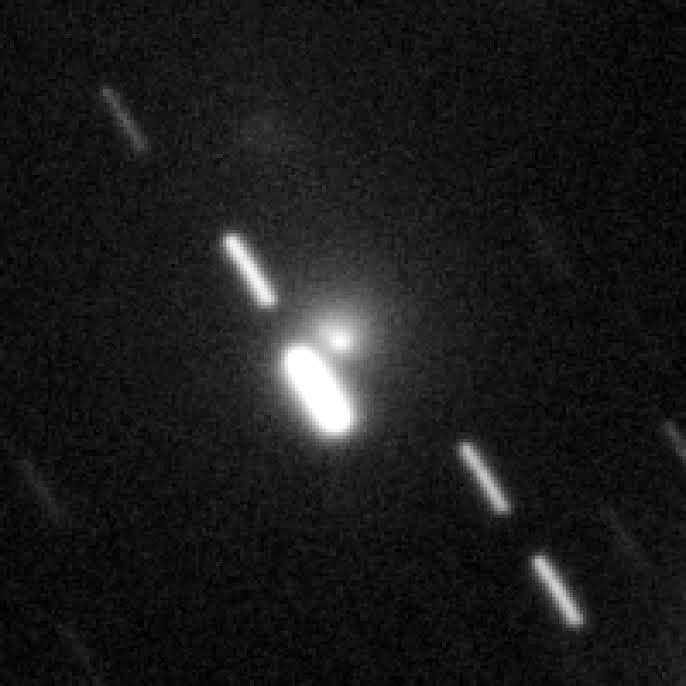 In the video below we show a first attempt to measure component B drifting movement from the nucleus of comet C/2011 J2 on 2014, through a 2.0-m f/10.0 Ritchey-Chretien + CCD (La Palma-Liverpool Telescope). 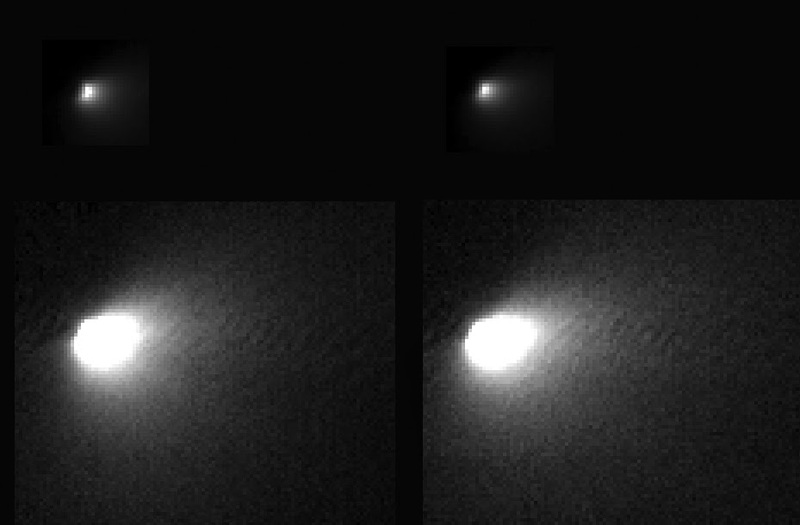 Blinking the frames of Sept. 26.9 and Oct 02.9, there is evidence of fragment B moving off from the main comet component while profile graphs show that fragment is fading and less condensed. On Sept 26.9 the distance is of 14.4 arcsec. whilst on Oct. 2.9 the distance from the nucleus is of 15.6 arcsec. Click here to see a bigger version of the video.